Athletic Bilbao missed the chance to go sixth in La Liga after being held to a goalless draw by Osasuna. Athletic Bilbao missed the chance to go sixth in La Liga after being held to a goalless draw by Basque rivals Osasuna. 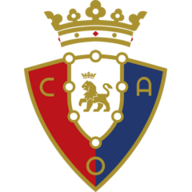 The match in Pamplona did more for the home side with Osasuna, who have only narrowly avoided relegation by one point in their previous two campaigns, looking safe. netting in stoppage time for Athletic Bilbao as Osasuna moved seven points clear of the relegation zone with four games remaining. The result did little for Athletic's pursuit of a European place, though, as they lie six points behind fourth-placed Real Mallorca and two behind Villarreal, who occupy the final Europa League berth. Athletic had been sixth for six successive weeks until recently but have now taken just five points from their last five games. 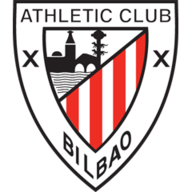 Athletic, who finished 13th last season but qualified for Europe courtesy of reaching the Copa del Rey final, have been in the top eight for all but three rounds this term, but now face a battle to claim a European place next season after the stalemate.